Theresa May has “outsmarted” Vladimir Putin over the attempted murder of ex-Kremlin spy Sergei Skripal, according to a Russia expert. 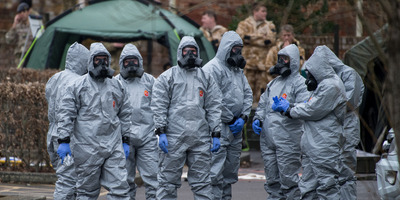 Professor Anthony Glees said May has shown that it is a “probability that borders on certainty” that Russia was behind the nerve agent attack. Rallying support from the US, France, and Germany was a major victory, which has made Russia look isolated. May’s handling of the Skripal case has impressed voters in Britain. Theresa May has “outsmarted” Vladimir Putin with her response to the attempted murder of former Russian spy Sergei Skripal in Britain last week, a Russia expert has told Business Insider. The prime minister has been praised for gripping the issue and corralling support from the UK’s most powerful allies, as the West looks to face down what May described as Russia’s “brazen” assassination bid on Skripal. “She played this very well,” said Professor Anthony Glees, the director of the Centre for Security and Intelligence Studies at the University of Buckingham. Glees, who is anti-Brexit and often openly critical of May, said the prime minister’s ultimatum to Russia this week – to provide evidence that it had no involvement in the Skripal poisoning or face retaliation – helped flush out Putin. Chris J Ratcliffe/GettyInspectors at the scene of the Sergei Skripal nerve attack in Salisbury. The word “culpable” was in itself carefully chosen, Glees said, because it could mean one of the two things: That Putin did not take proper care of his military-grade Novichok nerve agent and it fell into the wrong hands, or that he wilfully weaponised it on foreign soil. “In the world of secret activity, there is never going to be certainty. If we don’t get into the archives of the Russian state, there’s never going to be. There can only be a probability that borders on certainty – and that’s exactly what Theresa May has said. It’s a probability that borders on certainty that Russia was behind this,” Glees said. May’s other big victory this week was to galvanize the support of the US, France, and Germany. The leaders of all three nations signed a joint statement, which said there was “no plausible alternative explanation” for the Skripal poisoning other than a Kremlin hit-job. If one of Putin’s aims was to test how isolated Britain is following Brexit, then this joint statement suggests that the UK is far from marooned. Putin’s seeds of division have not taken root, and it is Russia that looks increasingly adrift in a week of strained diplomatic tensions. May’s handling of the Skripal case appears to have played well in Britain as well. 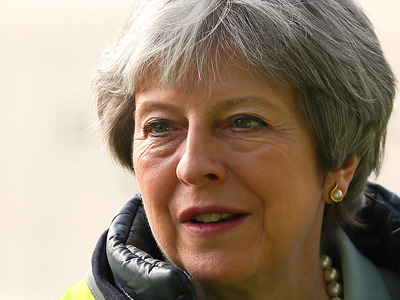 A snap Sky News poll asked how the prime minister is handling the incident: 61% said she is doing a “good” job, while 29% disagreed. Only 18% of those questioned said Labour leader Jeremy Corbyn is handling the matter well. Similarly, a YouGov poll for The Times found that 53% of people thing Theresa May has responded “well” to the attempted assassination of the former Russian spy.